Franks & Beans Events' Girls Nights Out in South Jersey--Dinner, Wine, Prizes and Fun! Whether it’s a Signature Psychic Dinner, a Painting Dinner, or one of our other events, Baby Boomers, Gen Xers and Millennials come together for a fun experience with good food, wine and prizes. BYOB Girls Nights Out in South Jersey. Come have fun with your BFFs—or meet your new one! 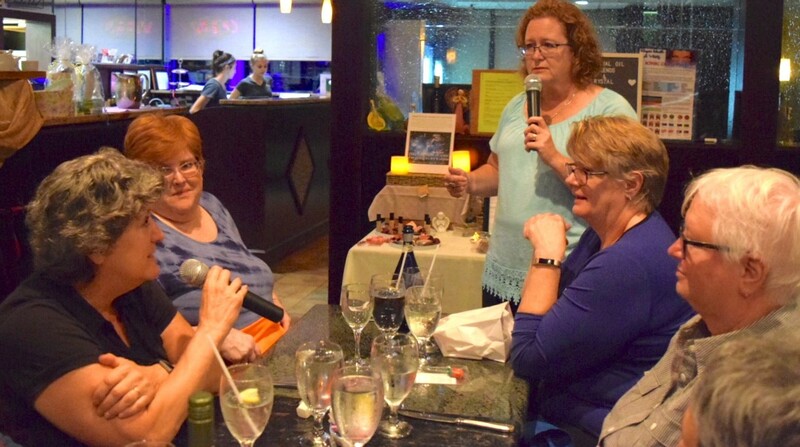 Three sets of BFFs came to this Signature Psychic Dinner. Standing is Judy Dingler, as she does a reading. March 26 2019: Wine Goblet Painting Dinner featuring Artist/Instructor Susan Roop. Everything you’ll need to paint your own wine goblet, plus dinner, wine and lots of prizes! 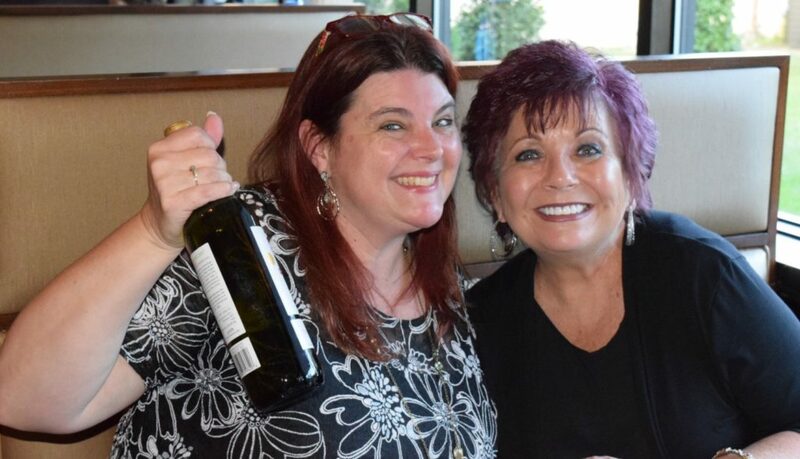 April 17, 2019: Private-Readings Psychic Dinner featuring Psychic Mediums Judy Dingler and Dianne Marie. Everyone gets her own 10-minute private, personal psychic reading. June 19, 2019: You are cordially invited to Your Very Own Birthday Party! This fun evening will be a birthday party for every single person who comes! It will be an evening of fun surprises, and a time to honor you and your friends. And the best part? You won’t get one year older…unless, of course, your true birthday is June 19, LOL! More info to come! Upcoming Events are in the Planning! Sign up for our emails to get first word on our events, PLUS 10% off the regular price of your first event! South Jersey Girls Who Wanna Have Fun: Answer fun questions every day while making new friends. If you see two Barbie dolls, you’ve come to the right place. For women ONLY. Because we vet this closed Facebook group closely, please answer the questions when you request membership. Single Female Friends: A South Jersey Girls Group: This group is for single, widowed, divorced and separated women ONLY. Because we vet this closed Facebook group closely, please answer the questions when you request membership. South Jersey Email Marketing Tips: This page is for entrepreneurs and business owners who want to learn how to grow their business through email marketing with Constant Contact. If there’s one thing I learned at Girlfriendz Magazine, it’s that Girls Just Wanna Have Fun! At Psychic Dinners: Potentially connecting with loved ones who have passed. At Painting & Crafting Dinners: Enjoying and exploring your creative side. Come to Franks & Beans Events with friends, or feel comfortable coming alone. Because the women who come to our events are friendly, welcoming and yes, even nurturing! We also produce events for companies who need to get noticed and increase their sales. Want to talk about an event for your business? Contact me!